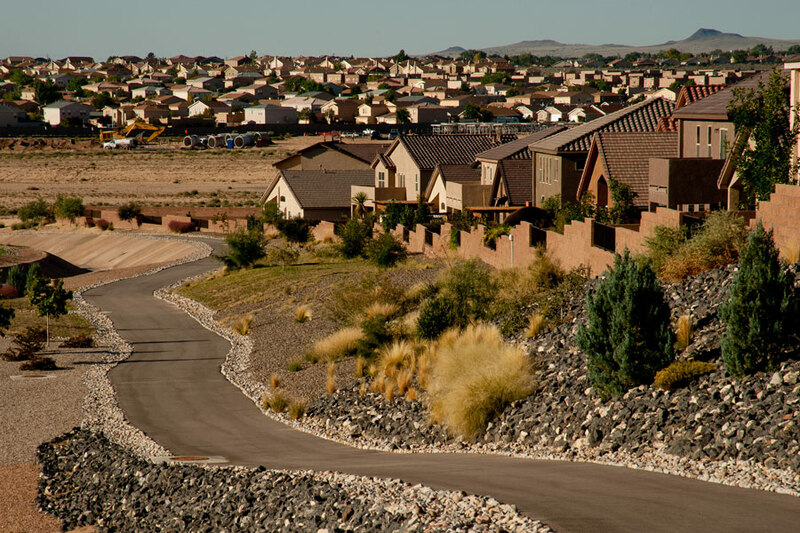 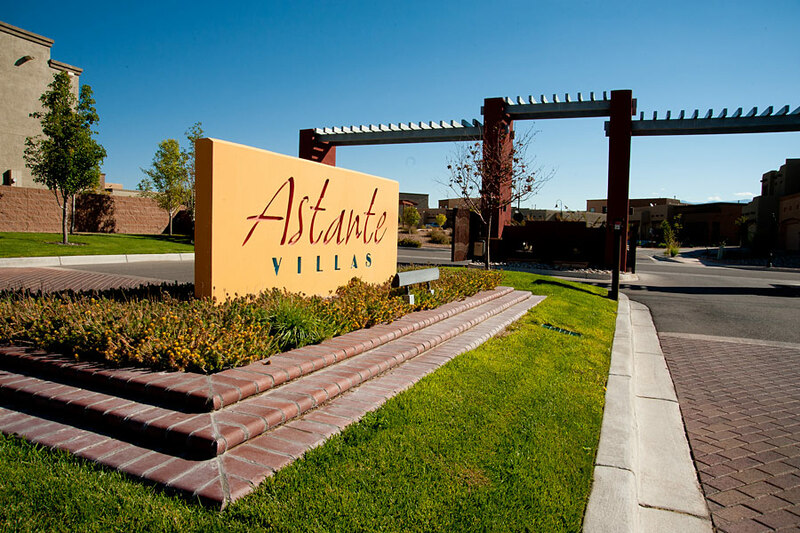 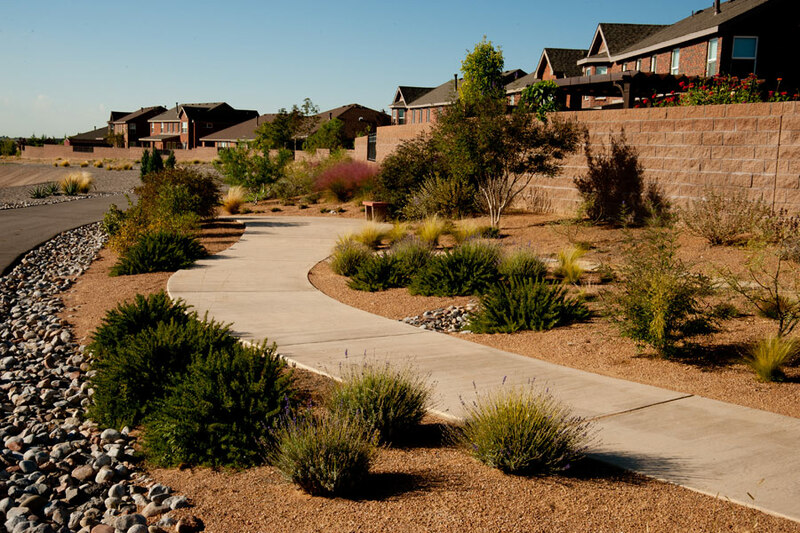 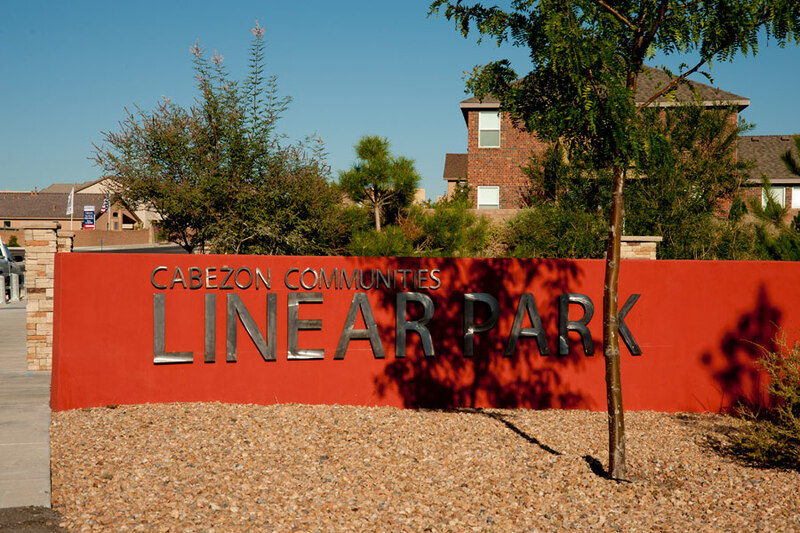 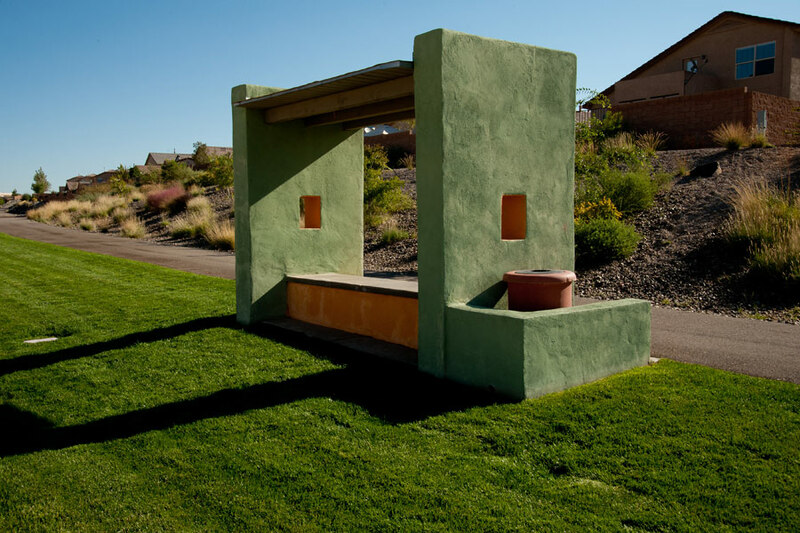 The mixed use, planned community Cabezon Subdivision in Rio Rancho, New Mexico, offers City parks, a community walking park, streetscaping, athletic fields, a community center, and commercial tracts featuring xeric and contemporary landscaping designed and built by The Hilltop. 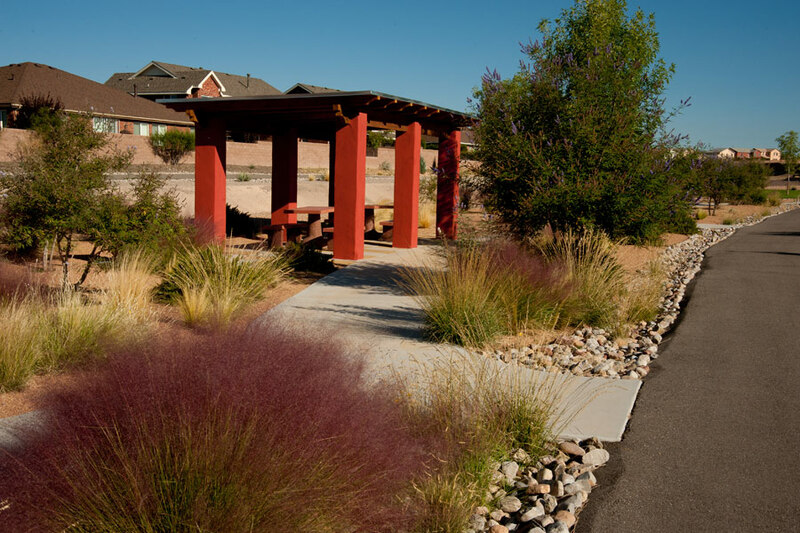 Working hand in hand with the developer, civil engineers, and signage artists we provided a verdant environment utilizing native and established plant material, specifically selected to flourish while being irrigated by grey water provided by the community waste water treatment facility. 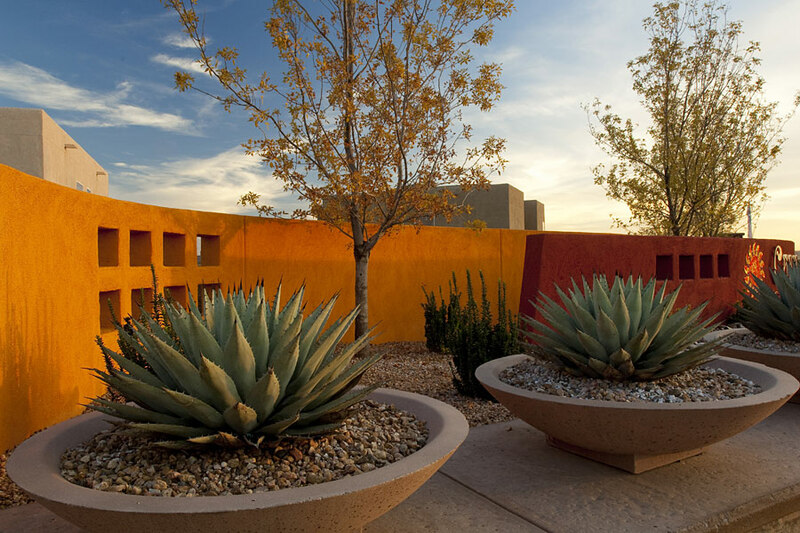 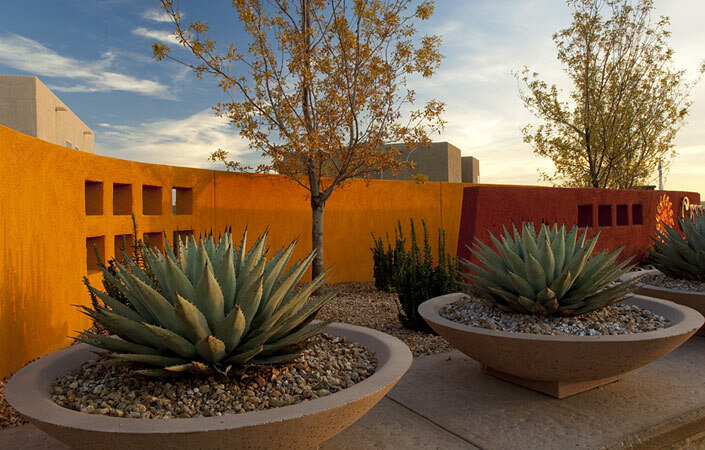 Design criteria utilized; contemporary placement of architecturally structured plant material such as agave, softened by gentle forms of flowering shrubs and breezy grasses.